I’ve been buying this face cream for my sister for quite a few years now as it really suits her dry and sensitive skin. It’s suitable for all skin types but because it’s extra rich it’s especially suited for the dry and mature skin. It’s certified organic by Soil Association and suitable for vegans as well. I got it at 20% discount but it normally costs £27.50 for 50g. 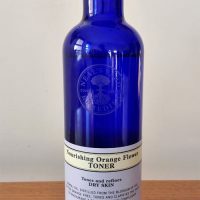 Get it on Neal’s Yard Remedies website here. Recently I’ve been really loving my facial oils and didn’t feel the need for face cream however I did need to get a new product for the skin around my eyes. I started to notice more fine lines appearing, just underneath my eyes, so I thought it’s time to switch from an eye oil to something else. After browsing on Odylique’s website I came across their Timeless Rose Moisturiser which can be used as an eye cream as well. This product is 100% natural and 94.1% organic – it’s certified organic by Soil Association. It normally costs £23.00 for 50ml and you can buy it directly on Odylique’s website or on LoveLula. You can get these samples directly on Odylique’s website. Just thought to treat myself with a new lip balm! I bought two actually, one for my sister, just because by buying two you save £2. Get it here. 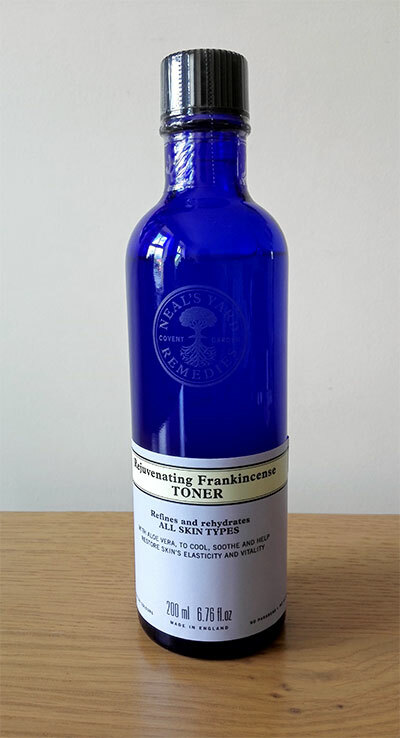 I bought Frankincense Toner from Neal’s Yard Remedies in the past for my sister and I have also tried it myself and reviewed it here. This alcohol-free toner is suitable for all skin types and it works very well on my combination skin. It’s amazing value for money as it comes in a big 200ml bottle which costs only £20. I know it’s a good value because I tried several natural toners in the past and some of them were quite expensive. Get it directly from NYR website. I love Faith in Nature shampoos as they work so well for my hair type. 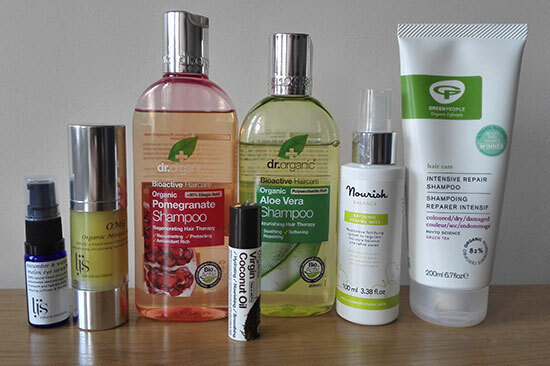 I recently bought a couple of natural shampoos from TK Maxx but they are making my hair greasy quicker so I am going back to Faith in Nature shampoos which are really affordable. You will find Faith in Nature Ginkgo Biloba shampoo in various online shops, including Amazon. My favourite natural toothpaste at the moment is Kingfisher Mint toothpaste but I decided to buy their Aloe Vera version just so that I can compare them. I love trying new products so I also bought this ESI Aloe Fresh toothpaste which I haven’t tried before. It costs £2.59 for 100ml on Dolphin Fitness website. So far I used it a couple of times and really love the effect. It makes my lashes longer and my eyes really pop. Normal price is £15.50 for 7ml. Get it directly from Green People’s website to ensure you buy the newest product. Have you tried any of the beauty products mentioned in this post? What beauty products have you bought recently?